Spurs are one of the most distinctive pieces of equipment that have been use by horsemen throughout the ages. In the early days of chivalry, spurs and the metal from which they were made were a mark of rank. 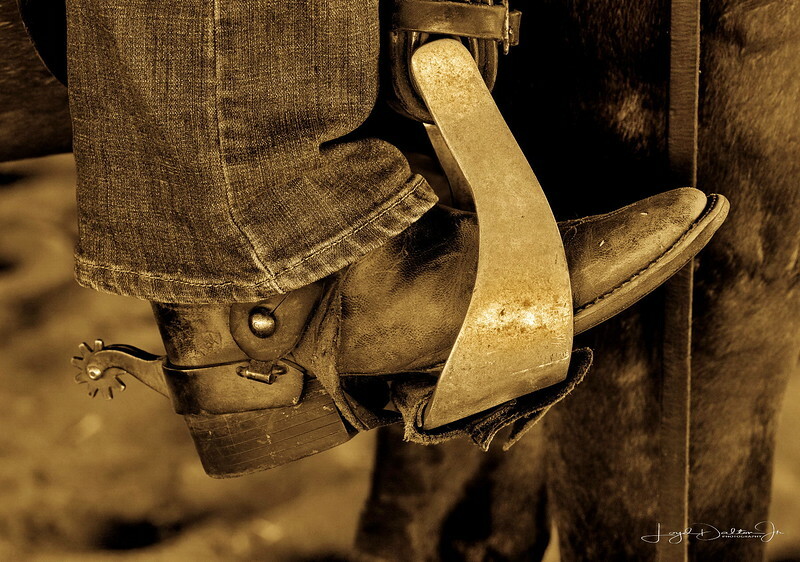 Hence the expression, “to earn your spurs.” This image was taken while on the King Ranch where the boots and spurs are everyday equipment of the Kinenos. The post processing really makes it look as if was photographed during that "period" of "horsemen throughout the ages." Great choice to shoot just the boot and spur and focus on thus this area. Superb composition and fabulous processing. I LOVE this shout. It really is a great story-telling shot of the day in a cowboy's life. Great comp & outstanding PP -- love the sepia treatment on this. Excellent capture! Love the processing.